Give a man a fish, and you have fed him for a day. Teach a man how to fish and you have fed him for a lifetime. Hon. Charles Ezeani, representing Anaocha 2 Constituency, in collaboration with Umunri Neni Multipurpose Fish Farmers Co-operative Society have given the people of Anaocha and beyond a means to ‘fish’ for themselves. 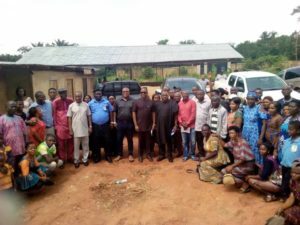 The 14th of August, 2018 will forever remain in the annal of history as the State government paid a visit to an amazing and enterprising fish farm of a Cooperative Society which is no doubt one of the Constituency projects and empowerment schemes of Hon. Ezeani representing Anaocha 2 Constituency which comprises of Akwaeze, Aguluzigbo, Ichida, Neni, Nri and Obeledu towns. In the welcome address presented by the Co-operative Society, it was noted that the project kicked off with intensive training immediately after the swearing into office of Hon. Ezeani, which had over a thousand people fully trained in the art of Fish farming and its chain by a professional. Some of the trainees who were able to finance themselves established their personal farms spread across the various communities of Anaocha L.G.A. After the initial Training, Hon. Ezeani provided the farmers with a mobile pond where they put into practice what they had been taught during training. He further went on to secure a vast land as well as equipped and expanded ponds in the farm. He then handed it over to the Cooperative Society who ensured that it was duly registered. 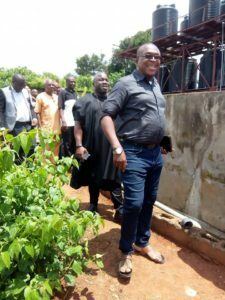 The ponds which was stocked with ten thousand fingerlings bought from AkwaIbom State on August 17, 2018 celebrated her one year during the Government inspection and Commissioning tour. The fish farm as of today can confidently boast of forty thousand, eight hundred table size fish. A rare great feat within the shortest period of time. The Cooperative Society did not hinder at voicing out their challenges which are mainly Power Supply and provision of feed, and called on the State government for urgent intervention and assistance. Standing in for His Excellency Governor Willie Obiano was the Hon. Commissioner for Agriculture, Hon. Afam Mbanefo who was visibly amazed during the tour. 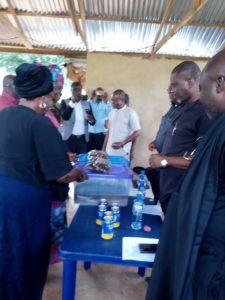 The commissioner with his principal Staff officers of the ministry and FADAMA beamed with smiles, satisfaction, and praised the uncommon initiative and Success Story on the Fish Farm Cooperative Project he saw. Hon Mbanefo commended The Honourable member of the State House of Assembly, Hon. Ezeani along with the Cooperative Society for their efforts put into the Constituency Project of this magnitude, saying that it had the potentials of becoming the Biggest fish farm village in Anambra State, and also gave them the credibility to be able to receive loans for more development and productivity, so long as the farmers under the empowerment scheme are registered appropriately with the government for proper identification, statistics and a better mechanized farming. In her vote of thanks the Coordinator of Association of People Living with Sickle Cell Disorder, Mrs Aisha Edward, appreciated the efforts of the State Government, for giving the people in the state a sense of belonging and as well pleading for the implementation of the promises made towards the fish farm project/scheme, because it would not only benefit the people of Anaocha, but also Anambra State in general. Mrs Edward also Commended Hon.Charles Ezeani for his tremendous effort in making this empowerment scheme a reality. 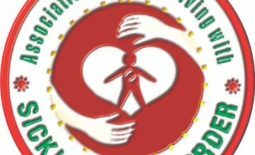 She also urged the government to see to the immense support of the viable projects such as this which people living with Sickle Cell Anemia are also prospective beneficiaries, since it is not considered too stressful. The group who are usually in dire need of job assistance especially empowerment such as this were optimistic that a new dawn has finally come, stating that some of the trainees of these project are living with Sickle Cell whom this community project will go a long way in aiding their future survival. 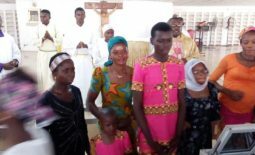 She also made a clarion call to the widows to key into that empowerment schemes, stating that it will aid in sustaining them and give them a responsible sense of independence, good reputation and achievement in the provision for their family’s well being as well as themselves. 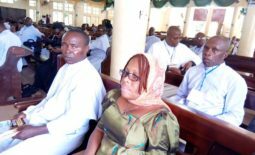 She pointed out that this will remove the negative thoughts of the society on widows, where they are seen as people who are highly abused, oppressed and always in dire need of help at every point in time of their lives. She called on the government to have widows registered in agricultural schemes like this, so as to ensure better care, sense of responsibility, and accountability of the registered widows that keyed into the project.